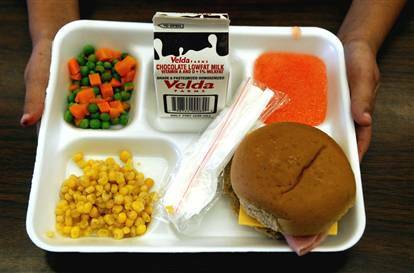 So, is your food awful at school? You can’t tell if its chicken, pork or beef? Does the chili give you heartburn and the salad taste like dirt? Well take your own lunch to school! If something requires using the stove, make sure you get your parent's permission first! Fix them the night before school! It only takes a little planning. 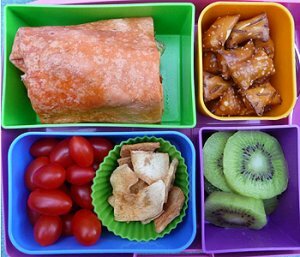 Check out MacBarbie07 as she makes yummy lunches!!!!! 1. Whisk hot pepper sauce, 2 tablespoons vinegar and cayenne pepper in a medium bowl. 2. Heat oil in a large nonstick skillet over medium-high heat. Add chicken tenders; cook until cooked through and no longer pink in the middle, 3 to 4 minutes per side. Add to the bowl with the hot sauce; toss to coat well. 3. Whisk mayonnaise, yogurt, pepper and the remaining 1 tablespoon vinegar in a small bowl. Stir in blue cheese. 4. To assemble wraps: Lay a tortilla on a work surface or plate. 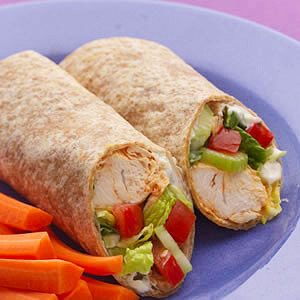 Spread with 1 tablespoon blue cheese sauce and top with one-fourth of the chicken, lettuce, celery and tomato. Drizzle with some of the hot sauce remaining in the bowl and roll into a wrap sandwich. Repeat with the remaining tortillas. 1. Combine chicken, carrots and barbecue sauce in a bowl. Spread ranch dressing on the bun. Top with the chicken mixture and lettuce.